In the warm subtropical waters of the Gulf of Mexico, roughly 100 nautical miles off of Galveston, Texas, one platform has become a hotspot for divers and snorkelers. High Island A389 is no longer operational—all drilling for oil ceased in the early 1990s when the Flower Garden Banks National Marine Sanctuary, a site encompassing three underwater salt domes protected by the National Oceanic and Atmospheric Administration’s Office of National Marine Sanctuaries, was designated a protected site. The rig was decommissioned since it was within the site’s boundaries. In the time since, local diving tour operators have begun bringing divers to the area to experience what it’s like to dive a manmade reef. High Island A389 is part of a growing movement to create artificial reefs out of decommissioned oil rigs. 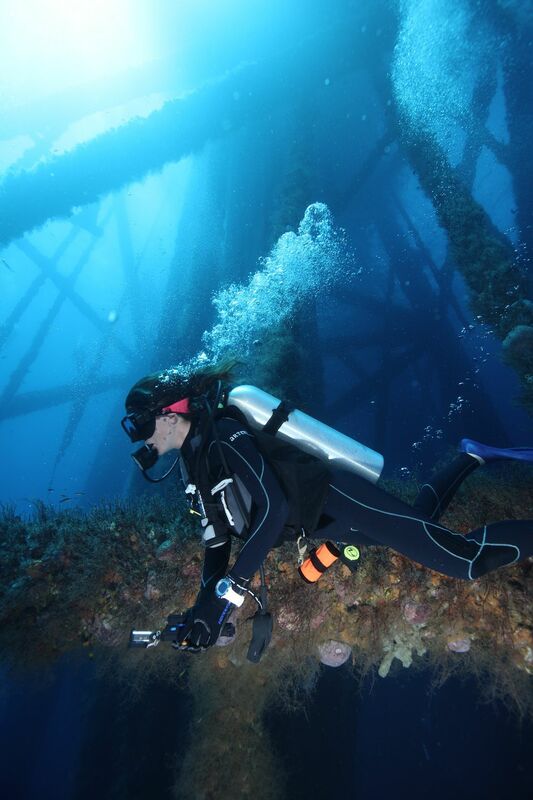 However, decommissioning rigs isn’t anything terribly new; in fact, the idea got its start in the mid-198os when Congress passed the National Fishing Enhancement Act of 1984, a law that was the result of an increased interest in developing artificial reefs for diving and fishing. 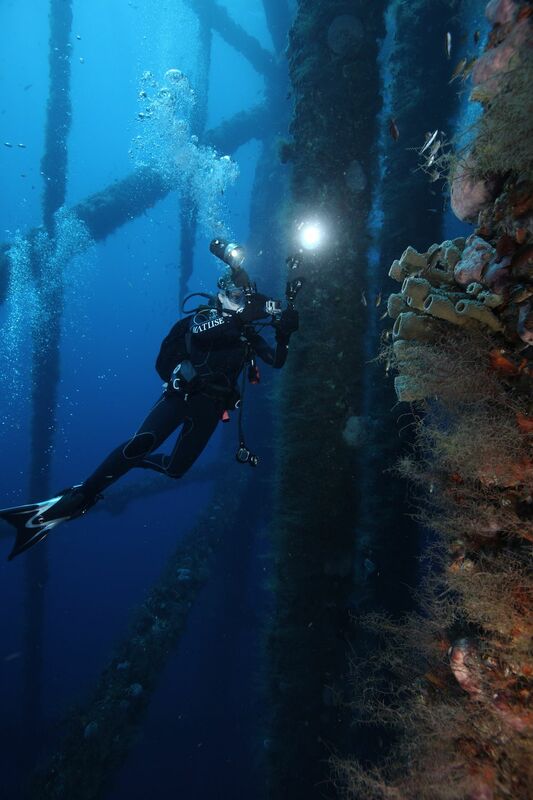 This led to the creation of the National Artificial Reef Plan in 1985 that provides an outline of protocols and best practices by the Bureau of Safety and Environmental Enforcement (BSEE) for turning retired rigs into artificial reefs. The plan includes engineering and environmental standards that must be met in the decommissioning process. Hazelwood estimates that there are between 500 and 600 reefed rigs in the Gulf of Mexico alone. Blue Latitudes assists oil companies as they navigate the decommissioning process. High Island A389 – Located off of Galveston, Texas, this was the first decommmissioned oil platform to be reefed in Flower Garden Banks National Marine Sanctuary—and in any marine sanctuary for that matter. High Island A376 – The warm clear waters surrounding this platform, just outside of Flower Garden Banks, are filled with interesting corals and large pelagic species, including manta rays. MP 299 – This site is close to shore, about 25 miles off of Louisiana, but due to a steep dropoff, the waters are clean, blue and unaffected by the Mississippi River outflow. Vermilion 171A – At this easily accessible platform, two hours west of New Orleans and just two to three miles from Cypremort Point State Park, divers find large schools of Atlantic spadefish and crevalle jacks. Mustang Island-828 Reef – Also relatively close to shore, at about 27 nautical miles from Port Aransas, Texas, this 4-pile jacket stands in approximately 165 feet of water.